Slim Cover is a smart solution for MacBook owners, an effortless way to carry and protect your device. This premium leather cover is both slim and lightweight, an innovative alternative to the traditional laptop case. Tailored to hold an 13″ MacBook Pro, the protective leather skin allows you to instantly open your laptop when you need it. With elegant design and minimalist charm, it’s a stylish companion for professionals. Designed for an 13″ MacBook Pro, the cover moulds seamlessly around your laptop, with cut-outs to provide access to your ports and trackpad. Both the top and bottom feature a smooth micro-fibre lining, to cushion your device and protect it from scratches. With no zips or compartments, this functional laptop sleeve is ideal for meetings where time is of the essence. 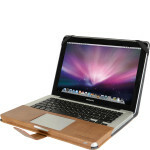 The leather strap is a simple but effective solution that holds your MacBook closed on the go. Available in black or brown, high quality leather ensures your cover will age gracefully over time. Slim Cover is a functional and stylish solution for professionals, students and entrepreneurs. With a lightweight design that offers easy access to your MacBook, this luxury leather cover fits easily around your lifestyle. Made for an 13″ MacBook Pro (pre-2016) slot the bottom of your laptop into the snug leather enclosure and use the elastic top grips to hold firmly in place. Micro-fibre padding throughout protects your device, eliminating the need for a laptop case and offering greater control of your MacBook. 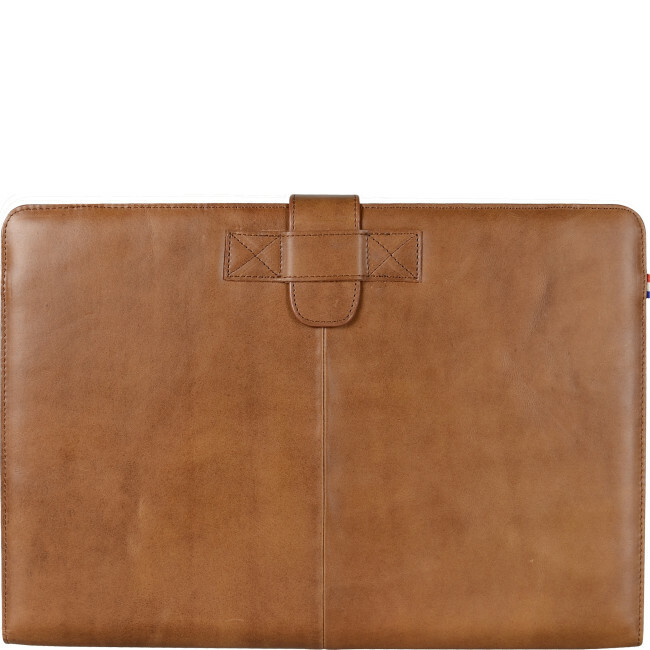 Constructed from the finest grade of leather, with a tight-fitting leather strap to hold secure on the move, this premium laptop sleeve is both handsome and practical. Complete with the embossed Decoded logo and iconic Dutch flag, it’s a sophisticated accessory for your MacBook Air. 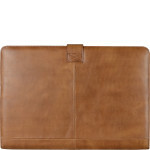 Premium leather design ensures that this quality laptop cover acquires a natural, beautiful patina with age. Although the look and feel of the sleeve will improve over time, to keep your purchase in good condition apply a leather wax or cream periodically. To clean, wipe away excess dirt using a soft damp cloth. Establish in 2009, Decoded is a luxury Dutch brand that specialises in technology accessories. Their collection of high quality cases and covers is made with the style-conscious consumer in mind, balancing the challenges of the digital generation with designs that will endure for years to come. Micro-fiber inlay for protection of your MacBook.